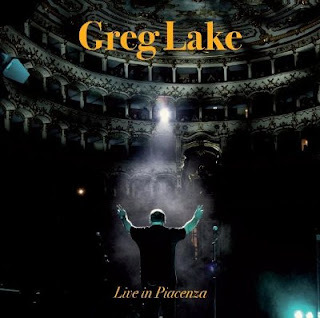 Home / -Preview- / Greg Lake / Preview / Greg Lake's Final Tour Documented in "Live in Piacenza"
Greg Lake's Final Tour Documented in "Live in Piacenza"
Manticore Italy Records has announced the release of Greg Lake Live In Piacenza Limited Box Set, CD & Vinyl! Recorded in sound-demonstration quality this is the documentary of Greg Lake's last tour, recorded on November 28, 2012 in a sold out Teatro Municipale in Piacenza. It was a very special, magical evening, as Greg remembered in his outstanding autobiography, Lucky Man. The audience was so warm and he gave such a passionate performance. The Mayor of Piacenza and all the municipality attended the concert and went on stage thanking Mr. Lake for opening the “Musiche Nuove in Piacenza” festival. The concert was a triumph and eventually on January 9, 2016 the trustees of Conservatorio Nicolini of Piacenza gave Greg Lake the first honorary degree ever given by a Conservatorio. Max Marchini recorded and produced the concert in Piacenza and together with Max I decided to restore Manticore Records label for the production and distribution of high-quality vinyl recordings. very limited double premium audiophile vinyl in 700 hand-numbered copies, gold hot foil lettering. very limited CD in 1600 hand-numbered copies, gold hot foil lettering. very limited Box Set in 500 hand-numbered copies, gold hot foil lettering containing: double vinyl in clear audiophile edition, CD in audiophile gold limited edition, 10 in-folio photographic prints, original concert poster and ticket, exclusive video DVD documentary of the concert, Greg Lake logo sticker.